Dancenorth, one of Australia’s fastest growing arts companies seeks an Artistic Director to create cutting-edge dance-theatre productions and lead a dedicated team in Townsville North QLD. The successful applicant will drive further growth and create works that will appeal on multiple levels to diverse audiences. Working closely with the General Manager you will manage all aspects of Dancenorth’s creative team. Facilities include our own 190 seat theatre and rehearsal space. The successful applicant will have relevant industry experience, have excellent organisation and communication skills, and be excited by the potential of the company. The position is full time with a start date negotiable. For further enquiries, contact joanne@dancenorth.com.au or phone +61 7 47722549. 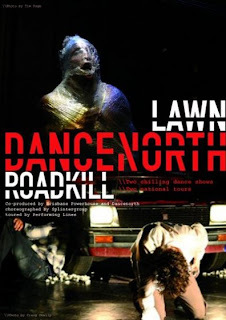 UPDATE: Dancenorth say that Gavin will be leaving the company in March 2009 for personal reasons, "Gavin has indicated that he will take time off and will look to pursue a career as an independant choreographer down the track."